Learning guitar for the first time can be challenging, but it can be even more difficult when all of the technical music terms come into play. What's a saddle? Where's the bridge? 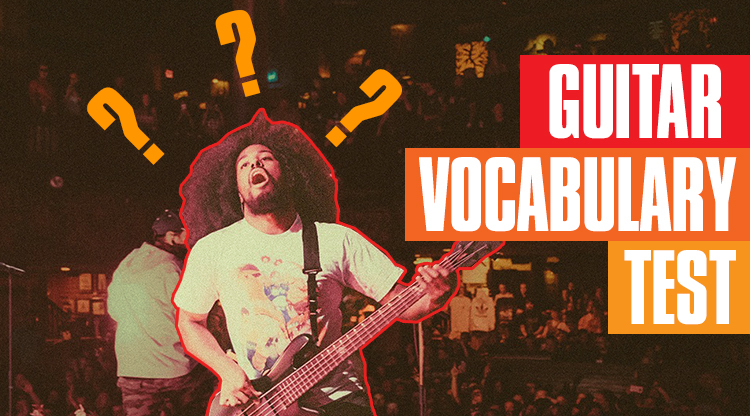 An aspiring guitarist must also learn a handful of new lingo just to keep up. Hopefully this quiz can help you memorize some of the key words that are used in the Guitar Fundamentals course and make learning just a bit easier. For more help, visit the Guitar Glossary.